Bobby Kerr And His Mustangs Will Blow You Away! There's a reason this talented horseman was named the 2017 PRCA Specialty Act of the Year. Bobby Kerr performing at the 2018 Gilbert Days Rodeo. Bobby Kerr is a household name in the rodeo world. His passion for the western way of life has set him apart as a rodeo act, but it’s his innate ability to communicate with and train mustangs that has earned him many prestigious honors, including being named the 2017 PRCA Specialty Act of the Year. The talented horseman has a background in reining, roping, cutting, and working cow horse, and uses various elements of these disciplines in his acts to wow crowds. 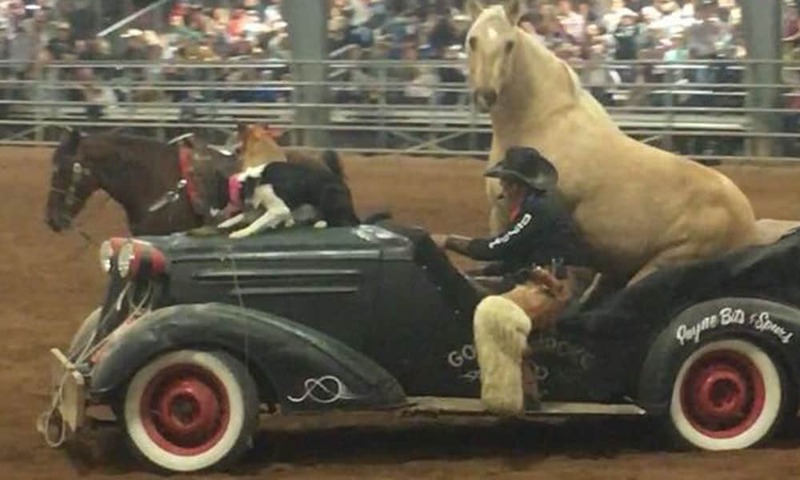 One of the most exciting parts of Kerr’s current act is at the very end, when he exits the arena with his mustangs in the most spectacular fashion. See for yourself! Follow Bobby Kerr on Facebook to keep up with the legendary horseman!